UNP and Opposition leader Ranil Wickremesinghe on Saturday (Feb 27) said that the UNP-led United National Front (UNF) would shortly reveal a plan to reduce the cost of living. He also promised a salary increase to workers in the event of winning the upcoming parliamentary polls. He said that their plan would be unveiled within two weeks. In the run-up to the presidential polls, defeated presidential candidate Gen. (retd) Sarath Fonseka pledged Rs. 10,000 salary increase to public servants. Addressing propaganda rallies at Ratnapura and Hambantota, Wickremesinghe said that President Rajapaksa had failed to ease the cost of living, though the war ended nine months ago. He said that only the UNP could alleviate the sufferings of the people by launching rapid development programmes. He said that the Rajapaksas could not develop the country. 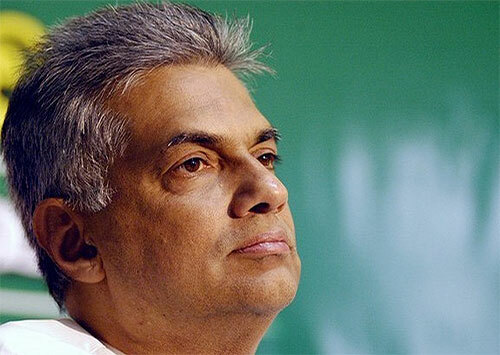 Wickremesinghe urged voters to elect a UNP government at the April 8 election to rebuild the economy.